Amy J. C. Cuddy is an Associate Professor in the Negotiation, Organizations & Markets Unit at the Harvard Business School. 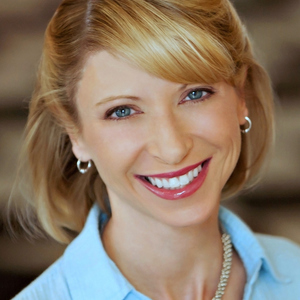 She holds a Ph.D. in Psychology from Princeton University and B.A. in Psychology from the University of Colorado. Professor Cuddy studies the origins and outcomes of how we perceive and are influenced by other people, investigating the roles of variables such as culture, emotions, nonverbal behaviors, and psychophysiological indicators. Much of her work focuses on social categories (e.g., Asian Americans, elderly people, Latinos, working mothers) – how they are judged by others and by their own members (i.e., stereotyping), and how these judgments set the tone and content of social interactions (i.e., prejudice and discrimination). Cuddy and her collaborators have developed a substantial body of research that focuses on judgments of other people and groups along two core trait dimensions, warmth and competence, which shape and motivate our social emotions, intentions, and behaviors. She examines how these social perception and influence processes play out in domains such as hiring, promotion, and charitable giving. Her research has been published in top academic journals, including Science, the Journal of Personality and Social Psychology, Trends in Cognitive Sciences, and Advances in Experimental Social Psychology. In 2008, she received the Alexander Early Career Award from the Society for the Psychological Study of Social Issues. Her research has been covered on CNN, MSNBC, by the New York Times, Financial Times, Boston Globe, and the Wall Street Journal, among other news outlets. Her research was also featured in Harvard Business Review's Breakthrough Ideas for 2009 ("Just because I'm nice, don't assume I'm dumb"), Scientific American Mind in 2010 ("Mixed impressions: How we judge others on multiple levels"), and as the cover story in the Nov-Dec 2010 issue of Harvard Magazine ("The Psyche on Automatic"). Cuddy, A. (2015). 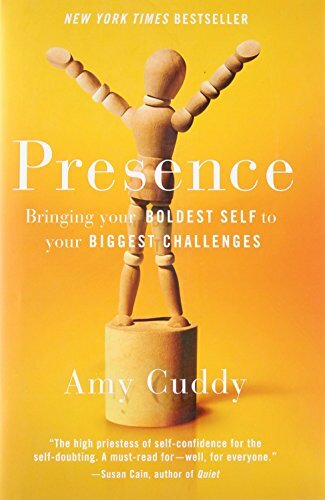 Presence: Bringing your boldest self to your biggest challenges. New York: Little, Brown and Company. Carney, D., Cuddy, A. J. C., & Yap, A. (2010). Power posing: Brief nonverbal displays affect neuroendocrine levels and risk tolerance. Psychological Science, 1363-1368. Carney, R., Cuddy, A. J. C., & Yap, A. J. (2015). Review and summary of research on the embodied effects of expansive (vs. contractive) nonverbal displays. Psychological Science 26(5), 657-663. Cuddy, A. J. C. (2009). Just because I'm nice, don't assume I'm dumb. Harvard Business Review, 87, 24. Cuddy, A. J. C., Fiske, S. T., & Glick, P. (2008). Warmth and competence as universal dimensions of social perception: The Stereotype Content Model and the BIAS Map. In M. P. Zanna (Ed. ), Advances in Experimental Social Psychology (Vol. 40, pp. 61-149). New York: Academic Press. Cuddy, A. J. C., Fiske, S. T., & Glick, P. (2007). The BIAS Map: Behaviors from intergroup affect and stereotypes. Journal of Personality and Social Psychology, 92, 631-648. Cuddy, A. J. C., Fiske, S. T., & Glick, P. (2004). When professionals become mothers, warmth doesn't cut the ice. Journal of Social Issues, 60, 701-718. Cuddy, A. J. C., Fiske, S. T., Kwan, V. S. Y., Glick, P., Demoulin, S., Leyens, J. Ph., Bond, M. H. et al. (2009). Stereotype content model across cultures: Towards universal similarities and some differences. British Journal of Social Psychology, 48, 1-33. Cuddy, A. J. C., Norton, M. I., & Fiske, S. T. (2005). This old stereotype: The pervasiveness and persistence of the elderly stereotype. Journal of Social Issues, 61, 265-283. Cuddy, A. J. C., Rock, M., & Norton, M. I. (2007). Aid in the aftermath of Hurricane Katrina: Inferences of secondary emotions and intergroup helping. Group Processes and Intergroup Relations, 10, 107-118. Cuddy, A. J. C., Wilmuth, C. A., Yap, A. J., & Carney, D R. (2015). Preparatory power posing affects nonverbal presence and job interview outcomes. Journal of Applied Psychology 100(4), 1286-1295. Fiske, S. T., Cuddy, A. J. C., & Glick, P. (2007). Universal dimensions of social cognition: Warmth and competence. Trends in Cognitive Sciences, 11, 77-83. Fiske, S. T., Harris, L. T., & Cuddy, A. J. C. (2004). Why ordinary people torture enemy prisoners. Science, 306, 1482-1483. Fiske, S. T., Xu, J., Cuddy, A. J. C., & Glick, P. (1999). (Dis)respecting versus (dis)liking: Status and interdependence predict ambivalent stereotypes of competence and warmth. Journal of Social Issues, 55, 473-490. Maddux, W. W., Galinsky, A., Cuddy, A. J. C., & Polifroni, M. (2008). When being a model minority is good... and bad: Realistic threat explains negativity toward Asian Americans. Personality and Social Psychology Bulletin, 34, 74-89. Cuddy, A. J. C., & Fiske, S. T. (2002). Doddering, but dear: Process, content, and function in stereotyping of older persons. In T. Nelson (Ed. ), Ageism: Stereotyping and prejudice against older persons (pp. 3-26). Cambridge, MA: MIT Press.